The use of tags to describe Web resources in a collaborative manner has experienced rising popularity among Web users in recent years. The product of such activity is given the name folksonomy, which can be considered as a scheme of organizing information in the users’ own way. 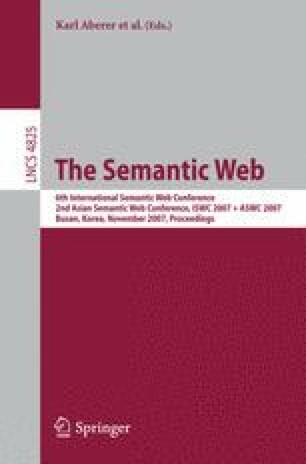 This research work attempts to analyze tripartite graphs – graphs involving users, tags and resources – of folksonomies and discuss how these elements acquire their semantics through their associations with other elements, a process we call mutual contextualization. By studying such process, we try to identify solutions to problems such as tag disambiguation, retrieving documents of similar topics and discovering communities of users. This paper describes the basis of the research work, mentions work done so far and outlines future plans.